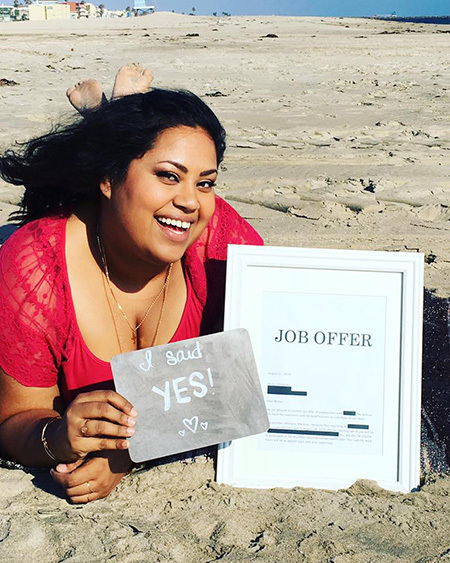 After saying “YES” to the big question that changes a person’s life, Benita Abraham—like so many of us—was eager to share the news with family and friends. 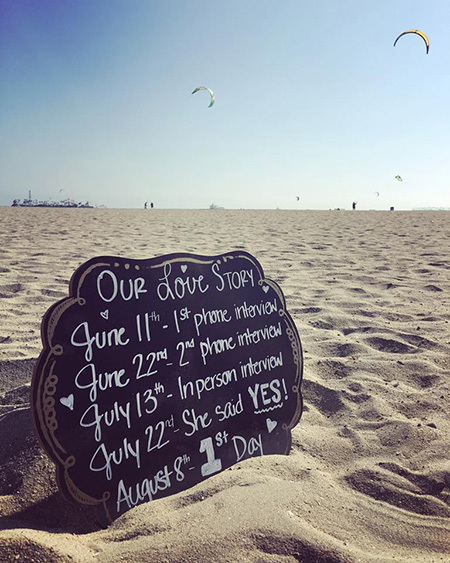 So, she scheduled a photoshoot, picked a romantic beach location, incorporated chalkboard calligraphy with cute sayings, like “I said YES!” and posted the Pinterest-worthy results online. But next to Benita in these photos wasn’t another person or a ring or a baby; her companion was a job offer letter, framed in classic, timeless white. Fast-forward a few hours and the Internet caught wind of Benita’s photos, making her—quite possibly—the most famous employed person of the moment. So excited to share my happy news with my FB family! Benita, 37, was laid off at her healthcare IT job of nearly eight years last December. 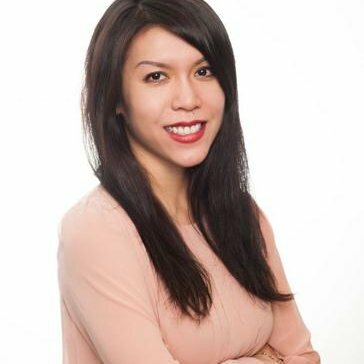 She took a break, traveled to India to visit family and started her job hunt in February. 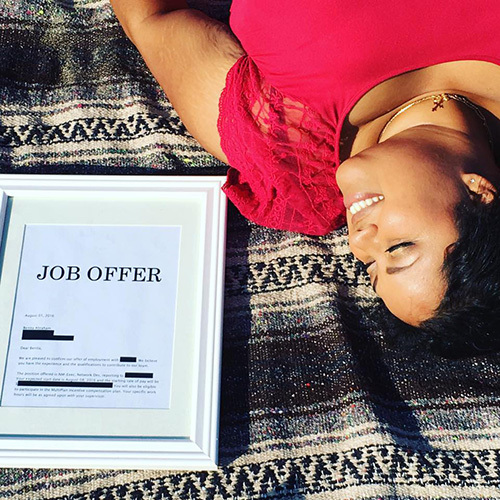 After applying to nearly 300 jobs and declining two offers that weren’t quite right, she saw the opening for her current job and applied in June. Moments like these are a reminder that the biggest perk of being a recruiter is the ability to change people’s lives (no diamonds required). Despite the tough days, the hiring managers gone MIA, the lack of resources, and the frustrating purple squirrel chase, every day you get to go home, knowing that you made a huge difference to somebody like Benita. Hat tip to you, recruiters!